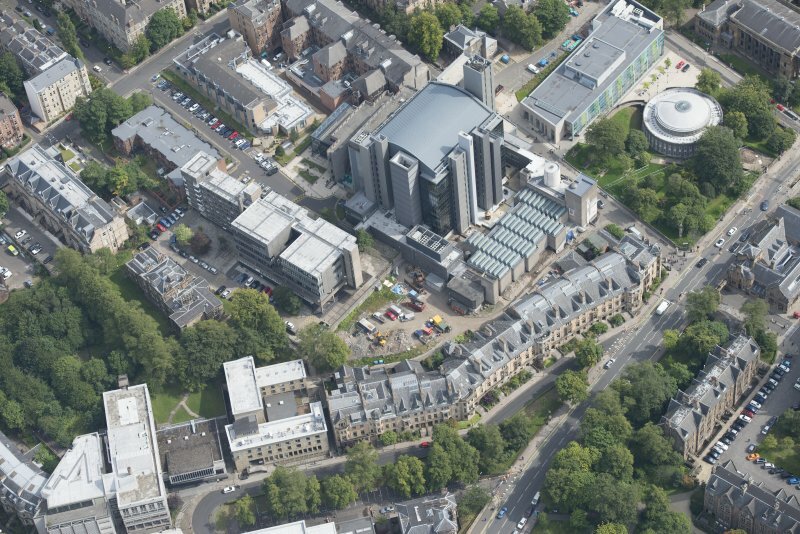 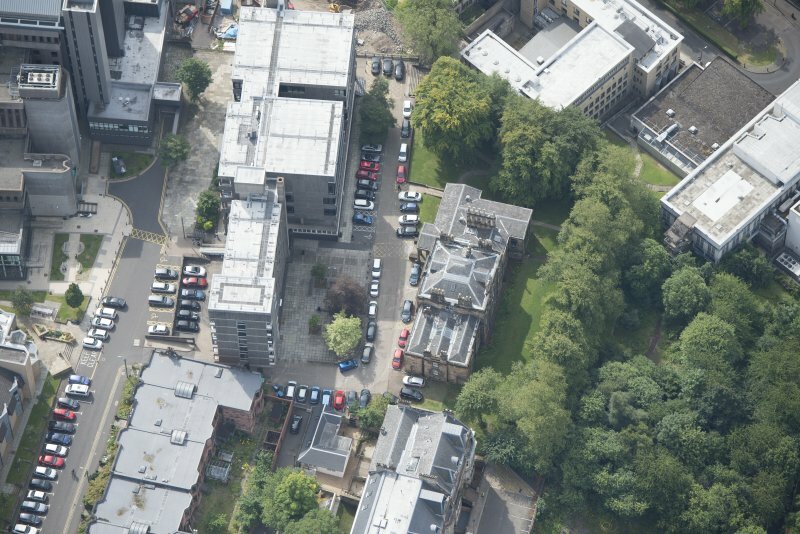 Oblique aerial view of University Gardens and Lilybank House, looking ENE. 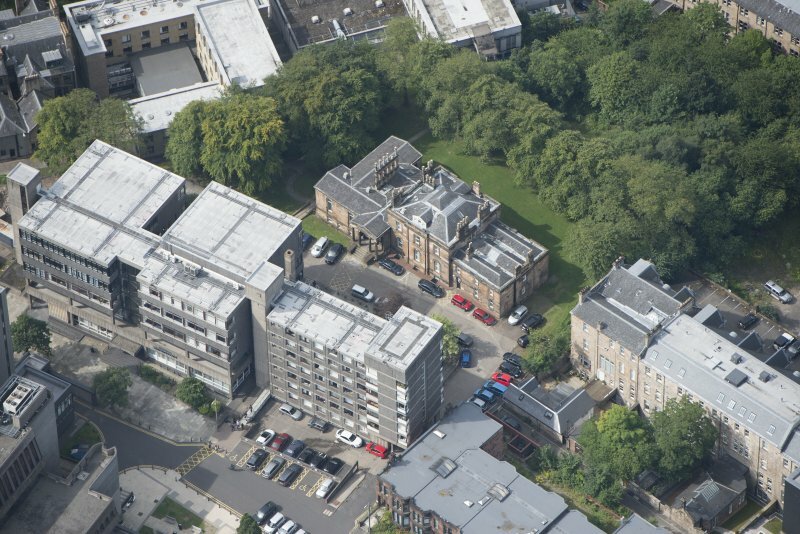 Oblique aerial view of Lilybank House, looking WSW. 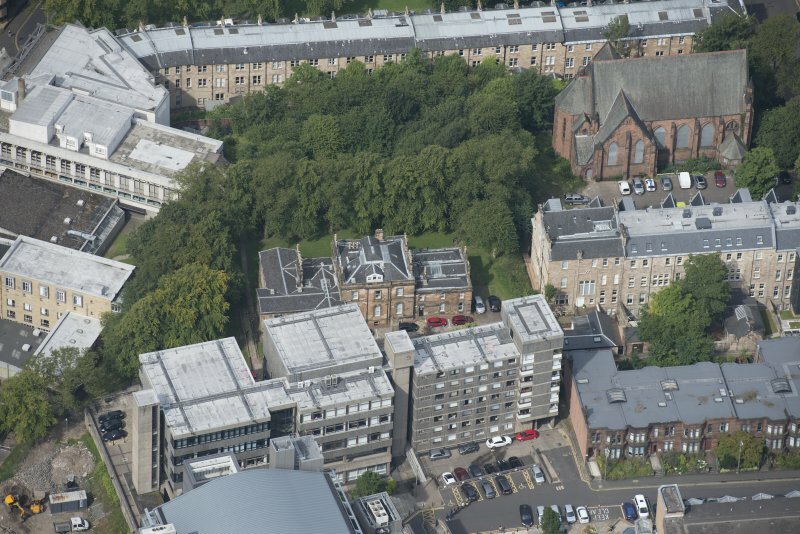 Oblique aerial view of Lilybank House, looking SW.
Oblique aerial view of Lilybank House, looking S.
Oblique aerial view of Lilybank House, looking W.
Oblique aerial view of Lilybank House, looking WNW. 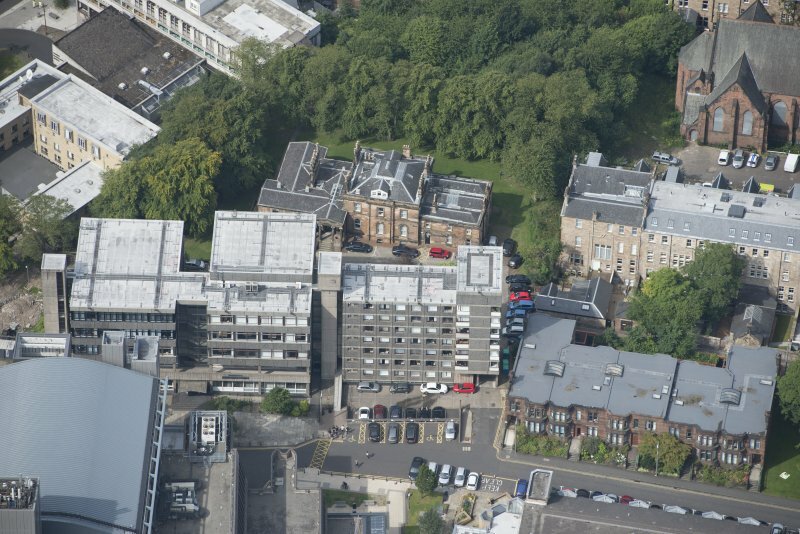 Oblique aerial view of Lilybank House, looking N.
New Queen Margaret Hall erected 1964 by W N W Ramsay, between Bellshaugh Road and Cleveden Gardens. 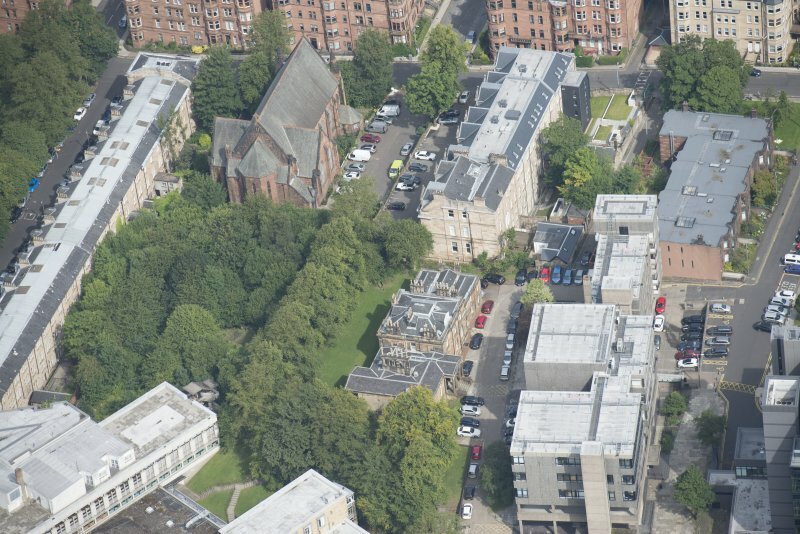 Previously 9 Bute Gardens. 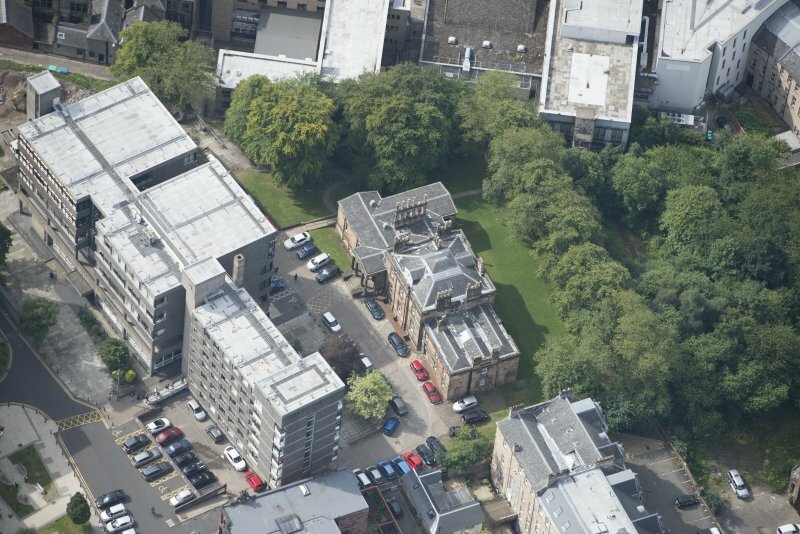 Original 1850 house incorporated into new building.